Original Super Nintendo system in good working condition. ***Please note this system has cosmetic flaws and has been discounted appropriately. Flaws may include markings, small cracks, discoloration, etc. This system has been tested and is guaranteed to work! Backed by our 90-day no questions asked return policy and a 1 year warranty. Great all around product. Everything is perfect! The Nintendo works great, the only problem are the controls. They don't have the Nintendo logo on them, so I don't know if that's an upgrade or if it isn't the real thing. When you are actually playing the controls don't always work. I paid a lot for this, and it didn't exceed my expectations. I am very happy with my purchase. My parents are too and looking forward to being able to play our games again like we did quiet a few years ago. 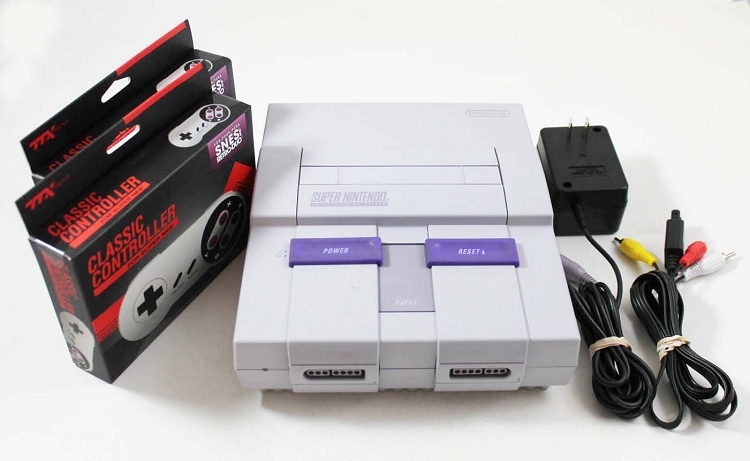 The Super Nintendo console looked practically new played like a new system. We are very happy to have made the purchase. Also, my brother’s kids can enjoy the old games like my brother and I did growing up. Old school is the best school! Very happy I got the SNES! Great value for what you're getting. They system was clearly cracked, yellowed etc but works like a charm still. The controllers play well too. LukieGames is my 1-stop shop for all things SNES related! Nothing like the SNES game system, or the games made for this specific gaming console. It works perfect, and I've had a blast playing my favorites from what now seems like a by-gone era. 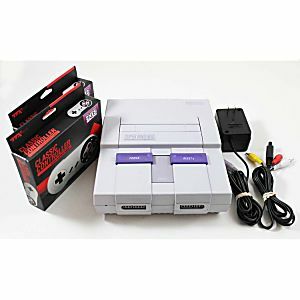 I plan to purchase all my SNES games from LukieGames, because my experience, so far, they have hard to find games available for a reasonable price, have excellent customer support, and take pride in offering quality products that have been tested. Works great! Some cosmetic wear is obvious but it works just fine! This system is in excellent condition!! It worked perfect right out of the box!!! My son and I are having a blast playing Ms. Pacman and Zelda!! What's old is what's cool again!!! Came in reasonably good condition, a bit yellowed and chipped in the corners, but it plays games with no issues. It'd be nice if it came with original SNES Controllers, but these brand new third-party controllers are actually really good. All in all I'm satisfied, but I regret not paying the extra $50 for the one in "Great Condition."